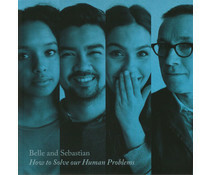 Belle & Sebastian is a Scottish tweepop group. The first few albums were heavily inspired by 60s pop and 80s indie bands like Felt and The Smiths. 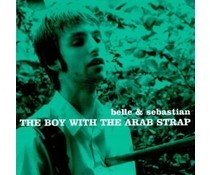 The group's name comes from the series of stories about Belle et Sébastien the Frenchwoman Cécile Aubry. The stories are about an orphan boy, Sebastien, and his white dog, Belle. The group was founded in 1996 in Glasgow by Stuart Murdoch and Stuart David. In 1998 she won a Brit Award for Best Newcomer. Although she had always had a loyal cult following until that time they really broke outside Britain only by the release of their sixth studio album Dear Catastrophe Waitress. They were nominated in 2004 for the prestigious Mercury Prize, but Franz Ferdinand, also from Glasgow, went there with the price off. 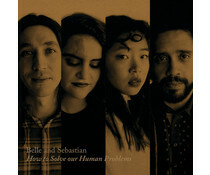 Their latest album Write About Love came out in October 2010. 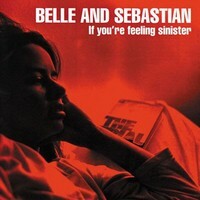 2005 EU vinyl LP -Belle & Sebastian's 1997 2nd record '" If Youre Feeling Sinister" is for all intents and purposes really their first since their debut in 1997 including the single Like Dylan In The Movies Get Me Away from Here Im Dying.